This year hundreds of millions of smartphones will be manufactured and shipped all across the world. And while all the big companies will focus mainly on pushing for the latests specs and design, only one company will make it a priority to use ethically-sourced materials. When practically every human being owns a mobile device, the footprint as a result can be massive. But Dutch-based Fairphone is taking proactive steps to minimize the global effect electronics have on the world, one smartphone at a time. 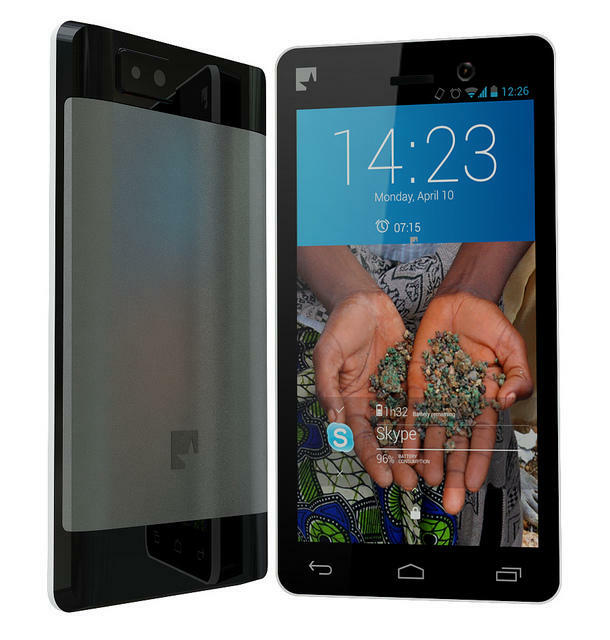 By using conflict-free tin and tantalum, and manufacturing in an environment someone would actually be happy to be in, Fairphone is attempting to turn the industry on its head. The supply chain will be completely transparent, meaning we'll know exactly what components went into the device, the source of material and the people who built them. The end game isn't simply to be the number one manufacturer on the market, but to change the way products are made. In the process, Fairphone will still use the sort of specs worthy of today's market: Android 4.2, 4.3-inch display, removable battery, dual-SIM, 16GB internal storage and 8-megapixel camera. Unlikely to go toe-to-toe with an HTC One or Galaxy S4, but at roughly $435 off-contract, the ethics behind the device may be worth the cost. Pre-orders are currently being accepted, with shipments expected to arrive by October in Europe only (for now).